Kitchens are better than bedrooms. Tennis courts are better than coffeehouses. Semaphore is better than the internet. Do your characters a favor: put objects in their hands! Independent films love to set scenes in coffeeshops. Coffeeshops are easy to scout, cheap to shoot in, and they lend themselves to long-winded discussions. They’re also death on a movie. If you give your actors five pages of dialogue to deliver in a coffeeshop, you’re screwing them over. If you love them, put them on a tennis court, or digging a ditch, or attending a pastry class. Actors need something to do with their hands. Giving actors stuff to do accomplishes so much. First of all, it gives them a secondary goal, rather than merely “I need to have a conversation.” This physical goal can become an obstacle to having this conversation, or a reason to get out of there, or an excuse to linger where they’re not wanted, any of which would amplify conflict. It also gives them a way to express their hidden emotions without using voice-inflection every time. The human voice is a crude instrument. It’s hard to say one thing but sound like you secretly mean something else. It’s easier to say one thing with your voice and imply a different feeling with your body language. But bodies don’t have much language when you’re sitting in a coffeeshop. You can’t play with the sugar cubes for that long. Most importantly, for you the writer, picking an active location allows you eliminate a lot of talk. The characters can use body language instead of dialogue. 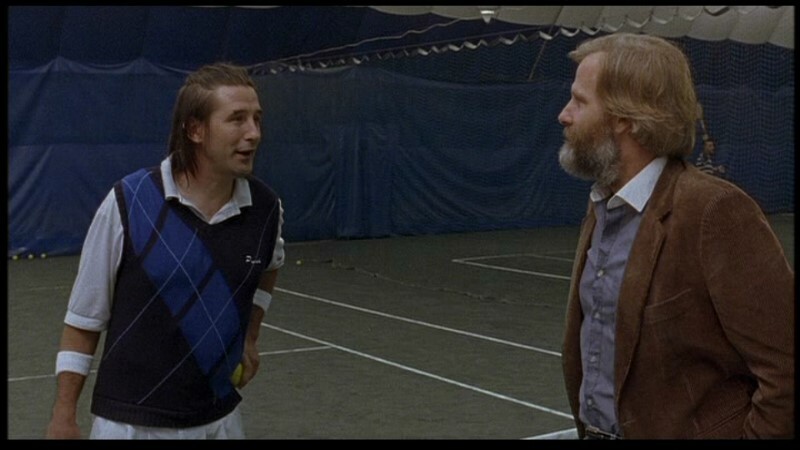 The tennis scenes in The Squid and the Whale did a great job with this. At the beginning, they’re supposedly one big happy family, but we can tell how they really feel by how aggressively they play tennis. As a result, we needed fewer scenes of “honey, I’m unhappy”. For the same reason, kitchens are better than bedrooms. There’s only one thing to grab onto in a bedroom and you can’t even do that in a PG-13 movie. In the kitchen everybody always has something in their hands: that’s a lot of body language. Bonus: these are frequently dangerous objects. If a character is upset with themselves, they can accidentally cut themselves, so that internal emotion suddenly becomes external. If they’re upset with someone else, they can “accidentally” set them on fire. In a coffeeshop, of course, you can throw a cup of coffee in someone’s face, but that takes a lot of rage. The character has to have a huge emotion and totally own up to it. It has to be on the surface. In a kitchen, you can allow suppressed emotions to express themselves violently in unintentional ways. That allows non-violent people to have violent emotions. The need for the characters to have something in their hands gets tougher once cigarettes, matches, and lighters are eliminated as possibilities. 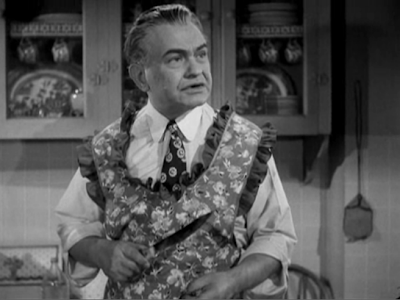 In I Never Sang for My Father, the film makers make good use of the family kitchen. When Gene Hackman is talking about his neediness, he pours himself a glass of milk.